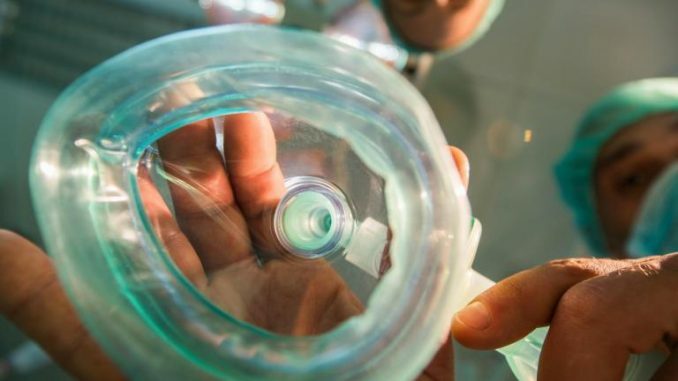 Giving patients a dose of anaesthetic could help them to recover from past trauma or even cure phobias, a new study has suggested. If people are asked to recall painful memories shortly before being knocked out by the drug propofol, scientists found those memories were noticeably weaker the next day. Anything from a fear of spiders to post-traumatic stress disorder could potentially be relieved if researchers can work out how to harness this effect in patients. Scientists used to assume that once a memory had formed in someone’s mind, it was virtually impossible to target and eliminate. Experiments in rodents gradually revealed this was not the case, but the procedures being used – such as injecting substances into rats’ brains – were not suitable for humans. Firing electric shocks through the heads of people with severe depression turned out to be an effective way to erase bad memories, but this too was not ideal. “Electroconvulsive therapy is a very invasive treatment, so if you’re thinking long-term of how to selectively target emotional memories that produce problems, and we can do something simpler – that would be better,” Dr Bryan Strange of the Polytechnic University of Madrid told The Independent. As people undergoing such treatments are also given anaesthetic drugs, Dr Strange and his team wondered if these were playing a role in the selective memory loss. When sedated in hospitals, he noted that patients show some amnesia for the period before their procedure, although this memory loss does not extend to their wider lives. To test the idea, the team began by asking 50 participants to watch slideshows telling emotional stories, including a boy involved in a car accident and an attack on a young woman. After a week had passed, they were shown parts of the slideshow to jog their memories, before being injected with propofol. Half of the subjects were then asked to recall the story 24 hours later, as well as a story that had not been “reactivated” in their minds prior to sedation. The researchers found that those participants could not remember the reactivated as well as the non-reactivated story. “What was interesting about the effects of propofol was that it was very selective for the emotional component of the story,” said Dr Strange, noting it was the moments of violence or injury that proved harder to recall. If unpleasant memories can be isolated, potentially using virtual reality, he said phobias that can be traced to specific events – such as crashing a car – could also be isolated and dealt with. “It’s certainly worth a try,” said Dr Strange. Dr Ravi Das, who is undertaking similar research at University College London but was not involved in the current study, said the paper was an interesting development in a growing area of research. “We know the unhelpful memory process is a core part of things like PTSD and also addictive disorders as well,” he said. However, with no treatments that directly weaken memories ready to use in patients just yet, he said this goal was still a “blue sky aim”. Besides propofol, Dr Das noted that other drugs, including ketamine, were being considered in the development of such treatments.